A suicide bomber rammed an explosives-laden car into the entrance of a local government headquarters. 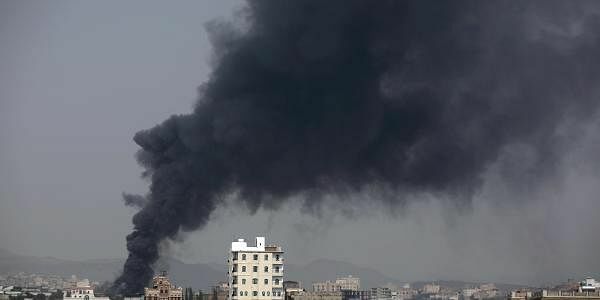 SANAA: Ten people were killed Monday in a jihadist attack on a government building in southern Yemen that also saw 10 assailants die, including a suicide bomber, officials said. Al-Qaeda in the Arabian Peninsula has exploited a power vacuum created by the war between the government and Huthi rebels who control the capital Sanaa and number of major cities along the Red Sea coast. The United States regards AQAP as the jihadist network's most dangerous branch. Washington has conducted more than 40 air raids, including drone strikes, against AQAP in March alone. Many of the strikes have targeted towns in southern provinces where the radical group is known to operate. At least 25 suspected AQAP members have been killed in the raids.